The WordPress website I developed for ADHC, at accesscareadhc.com, utilized the Divi theme with a lot of coded styling to make unique. User Experience (UX) Design was utilized to ensure the ADHC’s website appealed to their targeted visitors. 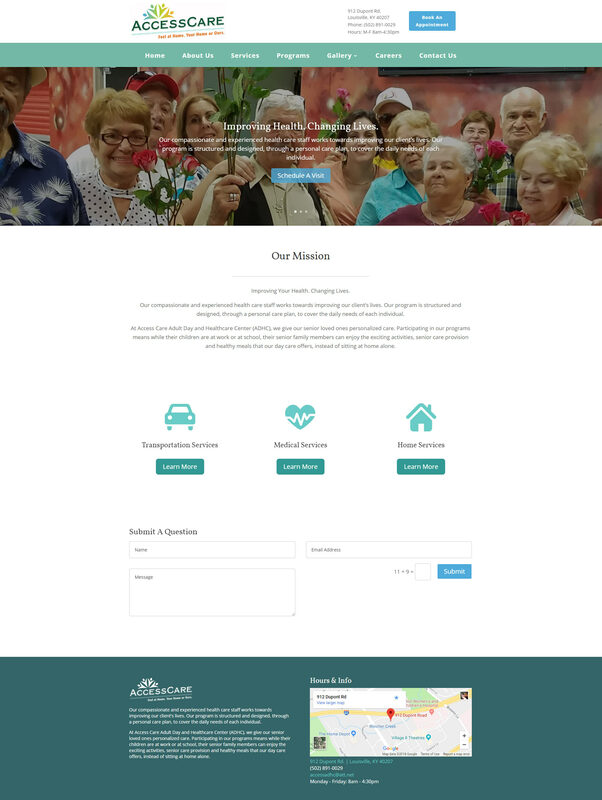 Colors, typography, layout, and content were carefully considered to create a website that feels compassionate, calm, professional, and knowledgeable.